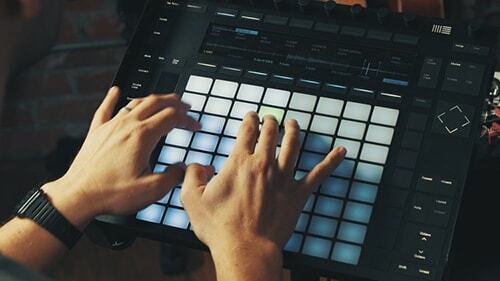 Since this curriculum is intended to help electronic musicians who use Ableton and Push 2, most of the demonstrations and walkthroughs are presented directly in Ableton and/or on Push 2. This means that learning music theory like major or minor scales and chords is different. In this short course, you'll learn the concepts in a way that makes more sense with Ableton and Push 2. There are definitely useful aspects of traditional music theory which is why *some* lessons ALSO demonstrate triads, intervals and scales on a traditional keyboard (Novation LaunchKey 49), so you'll see how music theory is based on piano. Scales, triads and intervals are the alphabet of the musical language and its hard to do much without them. You'll find this course is packed with condensed lessons that explain everything you need to know about building and playing scales and chords on Ableton and Push 2.